Milwaukee Tool SDS-MAX® Rotary hammer kit includes SDS Max rotary hammer, carrying case and side handle. Comfortable inline, 3-Position handle design of rotary hammer has offers greater user comfort. 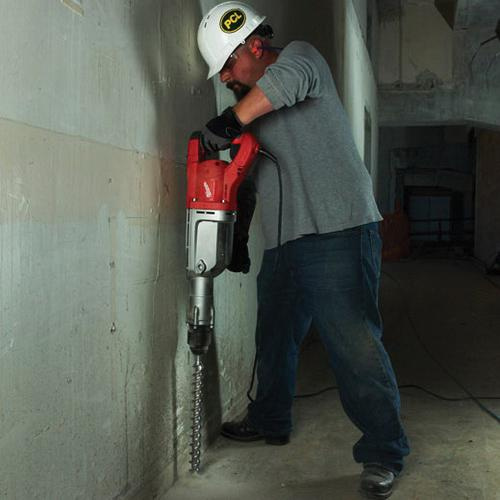 Heavy-duty robust construction of rotary hammer digs and drills under the most demanding jobsite conditions. This 27-1/2-Inch rotary hammer operates in two different modes such as rotary hammer and hammer only drilling.